Recently Google updated the new Google Search app in Android 4.4 Kitkat, the new search application comes with lots of new feature like “Ok Google” hotword. Which respond on some voice commands same like the Apple iOS siri. 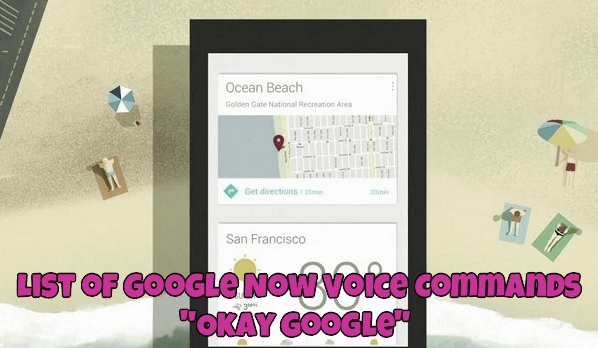 If you recently bought the Google’s new smartphone Nexus 5 or updated your android device with the Google now search app then you can use this new feature on your device, read more here How to Enable & Disable “Ok Google” Hotword on Google Now To use this feature all you have to enable the voice feature on your Google now application, after that you can send voice command to your device and perform lots of cool and practical functions. Once the Application is enable on your device, you can use lots of commands on your android smartphone and manage all you tasks very easily. Some of the useful commands which you will use on this application are “Remind me”, “What’s the time”, “Call”, “Weather”, “Flight Status” and lots more. We tested a lot of commands on our Nexus 5 and all the commands are working very fine and one of the fastest way to perform lots of cool task on your device without touching you phone by saying the magic words “Okay Google”. If you want to learn more about the new commands, here’s the full infographic. Thanks to Trendblog.net for creating this awesome List of Google now voice commands, which you can easily use on your android smartphone.So, go ahead and read all the commands below and try them on your Google Now Application. Hope you enjoyed all these commands on your device, if you know any other important or useful commands which you want to share with our readers? Share them with us in the comments! @mushfiqur, First you have to enable the Google Voice on the application.